Print Media LLC prints, publishes and distributes YP(Yellow Pages)-branded print directories and also works with YP to bring effective advertising solutions to local businesses. When Print Media decided to break away from the Yellow Pages umbrella, they realized they needed an online presence to establish and reinforce the company. The Lumina Design team approached Print Media with the idea of a single page website. Their content was informative, but minimal, and the timeline was short. 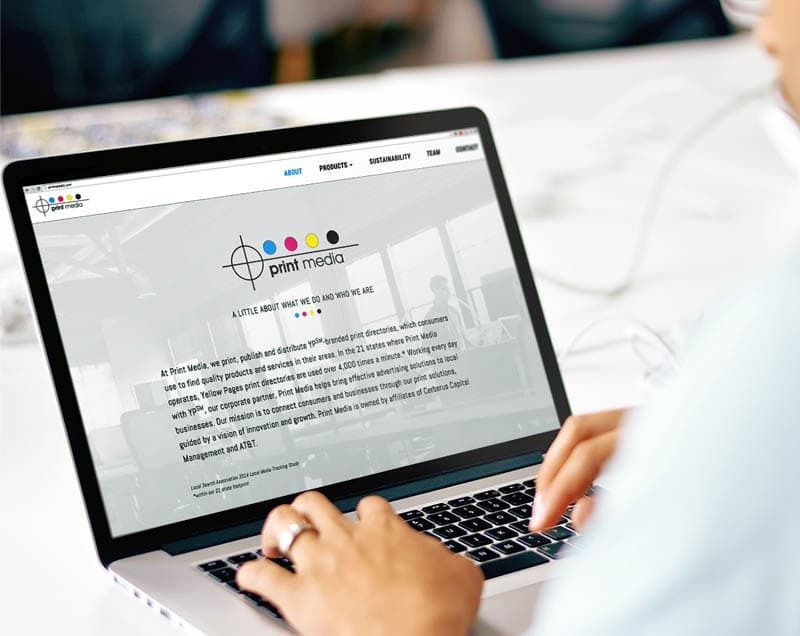 What resulted is a light-weight, responsive website complete with animations and custom graphics that inform potential customers and partners of their products and services.